Tree Pruning, Tree Pruning Saw in Taiwan - Wise Center Precision Appliance Co., Ltd. Founded in 1991, Wise Center Precision Appliance Co., Ltd. started with the development and manufacture of tree pruning. With the continuous effort over the years, our company has accumulated industry’s best R&D capabilities and became one of the biggest and highest quality manufacturers. Wise Center Precision Appliance Co., Ltd. achieved a market leader position in the tree pruning and thereby strengthens the company’s position on the Tools market. Apart from this, the offered products are highly demanded in the market for their lightweight, attractive design, low maintenance, easy to operate, optimum performance, reliability and durability. We will continue to be an innovator in both the residential and commercial areas of tree pruning and want our customers to grow with us and move forward. 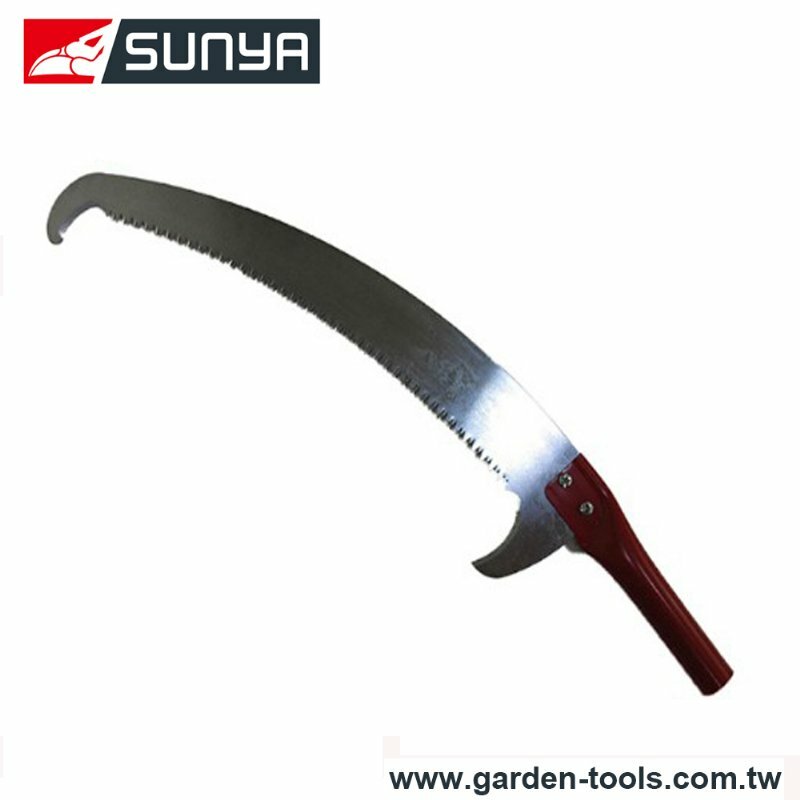 Dear Sir/Madam, I’m interested in Curved Tree Pruning Saw with hook, 26101K1 that your company provides. Would you kindly contact me with your detailed product information and FOB price? Thanks. For more than 20 years, Wise Center Precision Appliance Co., Ltd. has been committed to providing tree pruning of the highest quality and greatest value to its customers. Our tree pruning, pruning saw is fabricated using premium quality materials that are tested for their efficiency and durability. There is a choice of four different materials for the sides, which emphasis the purist 'raw' character of the pruning saw. If you have questions concerning our tree pruning, please feel free to get in touch with the contact person responsible for your region, use our general Contact Form or Contact Us at the headquarters. We are here for you!